Great Hill Dental Somerville is once again making smiles brighter for Smiles For Life 2019! Happy Halloween every one from Great Hill Dental in Somerville. Great Hill Dental Partners Somerville celebrated Emily and Gail’s birthday… HAPPY BIRTHDAY EMILY AND GAIL ! . Great Hill Dental Partners Somerville celebrated Macy Birthday… HAPPY BIRTHDAY MACY. Dr. Peter Okwerekwu for receiving the award for clinical excellence & patient care. Dr. Peter is a dedicated dentist and this award is a public recognition of his hard work! Congratulation Entire Dental Assistant at Great Hill Somerville for such a great job that they’re performing. Thank you so much for Your great attitude effort and your great commitment to the company. Come whiten your smile and help a child with a small donation. Great Hill Dental Somerville Team Wishing you Both a very very Happy Birthday :- Dr.Ahmed & Fernanda. Celebrating the Holidays with the Somerville Team. We are so happy to announce that our hygienist Macy had her baby boy Max in Oct 2017! Max is a month old now and mom is doing good and enjoying her baby boy. Great Hill Dental misses you. Macy will be seeing patient on February 1 2018. Summer of 2017, we were able to help patients whiten their teeth and help children and families in need by offering professional whitening services for a donation starting at only $50.00. 50% of all donations went to the Somerville Homeless Coalition, and the other 50% was donated to Smiles for Life. Our dentists and staff donated their time and services, while other great sponsors like Ultradent Products, Inc. & Opalescence contribute supplies and whitening products. Smiles for life was originally developed in 2005 by the Society of Teachers of Family Medicine Group on Oral Health to promote oral health.?? A special thanks to the Keka family with a special gift for mom from Great Hill Dental! Al, Alisonnn ! It is really hard to let go of Great Hill Dental’s Best Employee EVER! It will be really hard to find anyone willing to work as hard as our: Assistant Manager, Psychologist, Friend and “Motivational Dancer” (please check out Al’s dancing video https://youtu.be/DvBG0ynvUqI ) We will miss you frequently, but of course, we can always watch your awesome video and remember you! We wish you the best in all areas of life, you will make an awesome Nurse, and any healthcare facility will be lucky to have you! We are all cheering for you! The Somerville Team participated in a team building event at Dave and Busters. Our team thoroughly enjoyed this event! Our group was divided into three teams. Team 3: Fernanda, Rosa (behind Fernanda lol), Selene, and Virginia. The goal: The team to win the most tickets wins! Our team was put through a scavenger hunt and some challenging logic games. After everything was complete. Team #1 took 1st place. After the. Everyone had so much fun, we ate some delicious food and we can not wait to do this again next year! On the left is the amount of toothpaste you should use for a child under 2 years old and the right is for a child who is 2-6 years old. Assisting your child in brushing their teeth remains important until they are about 8 years old! Call Great Hill Dental Braintree for a fun & relaxed dental check-up for your little ones. Wish that dental procedures were fast, easy and painless? Welcome to the new age of dental solutions! The unsightly look of receding gums can now be corrected in under an hour with the Chao Pinhole® Treatment. Only specially certified dentists can perform this procedure, and Great Hill Dental Somerville’s Dr. Goodman has obtained this certification. Call to schedule a free consultation! Somerville Chamber of Commerce Dining & Nightlife Group Presents ‘Taste of Somerville in the Park‘ – Hosted at Nathan Tufts Park, 6/14/2017. Proceeds benefit Walnut Street Center, Inc. and Somerville Home. Floss – Does It Matter Before or After Brushing? Flossing before brushing your teeth or after? Great Hill Dental Somerville’s Dr. Goodman says you should floss BEFORE you brush. This helps to get the plaque out so the fluoride from your mouthwash and toothpaste can get between your teeth! If you are interested in the Pinhole® Gum Rejuvenation or want to ask Dr. Goodman about sensitive teeth or receding gums, call Great Hill Dental Somerville at (617) 764-3440 now to schedule your complimentary consultation. All procedures scheduled before the end of May will receive $500 off your Pinhole® Treatment courtesy of Dr. Goodman! Great Hill Dental Partners Somerville is once again teaming up with Smiles for Life to whiten smiles for charity. Now through June, you get a professional teeth whitening kit for only $100, this is a huge savings on whitening services! Every penny benefits the Smiles For Life charity organization, as well as our local charity, Somerville Homeless Coalition. Opalescence donates the whitening kits, and we donate our time and resources to ensure children in Somerville, MA and around the globe keep on smiling. Stop by our office or give us a call for additional details. We can’t wait to see you smile! Our team participated in the Crown Council’s 22nd Annual Event in Nashville, TN! The Crown Council Annual Event is designed to help our team define and redefine the culture of our practice. Welcome Dr. Peter 🙂 ! We are pleased to announce the addition of Dr. Peter Okwerekwu to our dental team. Dr. Peter Okwerekwu will be transitioning in this winter and taking over the care of Dr. Epstein’s patients. Because we wanted to be certain that our patients continue to receive the best possible care, we have carefully evaluated numerous candidates and have selected Dr. Peter Okwerekwu will provide the highest level of care and will continue the utmost level of customer service you have come to expect. Many of you have already met Dr. Peter Okwerekwu at your last visit and we expect the transition to be smooth. We wish Dr. Epstein and his family success and happiness with their new practice in Newton MA. We look forward to your next visit. Thank you for your loyalty and confidence. Dear Dan, saying goodbye is very hard. It is hard to say goodbye to a colleague who has been less of a co-worker and more of a friend. We will miss you and we are sad that the joyride of working with you has to come to an end. Dan is an excellent team member who was a tremendous and valuable asset to our team. Dan moved to San Francisco to pursue his career as a Pastor with his lovely wife. It was a pleasure working with him. We want to wish a Happy Birthday to Eryusalem and Valeria! The Somerville Team at Great Hill Dental Partners LLC are beyond grateful for every smile whitened…every dollar raised…and every pie-in-the-face! Thank you for an awesome Smiles for Life year everyone 🙂 ! Over 2016 summer for a donation starting at $50.00, we were able to help patients whiten their teeth and help a child and family in need, 50% of all the donations went to the Somerville homeless coalition and the other 50% was donated to smiles for life. We kept 0% of the donations. The Somerville Homeless Coalition is a safety net for homeless and hungry families and children in Somerville and the greater Boston area. Your generous donation helps to provide food and shelter for those in immediate need, case management for those working to regain or maintain permanent housing, and resources, referrals and other services to help prevent people from becoming homeless in the first place. Do you have painful gum recession, receding gums due to bone loss, or told you may need painful gum grafts? If so, please call us and make an appointment to see Dr. Lawrence Goodman. Dr. Goodman is certified to perform the Chao Pinhole® Surgical Technique to treat receding gums, in Braintree and Somerville. Great Hill Dental is excited to announce that Dr. Lawrence Goodman now Performs the Chao Pinhole® Surgical Technique at our offices in Braintree and Somerville. This Gum recession breakthrough treatment, also known as Pinhole Gum Rejuvenation™ and Lunchtime Gum Lift™. uses specially designed instruments and technique to treat receding gums, with no incision or suturing. Patients can expect minimal post-operative symptoms (pain, swelling and bleeding). Most patients also are pleasantly surprised by the instant cosmetic improvement. Gingival recession, or gum recession, is what happens when gum tissue is recessed and lowers its position on the tooth, exposing the roots of the teeth. Great Hill Dental Partners, LLC hosted a business event for the Somerville Chamber of Commerce. Our Team prepared a beautiful baby shower for Dr. Shivji, who is having her first baby. We can’t wait to see Dr. Shivji’s new baby, and we want to congratulate her and her husband 🙂 ! We celebrated Dr. Brangan’s, Liz’s, and Hannah’s Birthdays 🙂 Happy Birthday Team 🙂 ! On behalf of all the employees at Great Hill Dental, we showed our appreciation to Harvard Vanguard Medical Associates for the excellent job they have done! We prepared and delivered home-made ice cream baskets to five departments, Internal Medicine, Obstetrics and Gynecology, Hand Surgery, Pediatrics, and Urgent Care. Thank you Harvard Vanguard for all that you do 🙂 ! Dear Great Hill Dental Team, we want to thank you all for always working really hard, having each and every one of you on our team makes all the difference, thank you for all that you do! We celebrated Staff Appreciation Day. The Office Managers arrived early and cooked breakfast for the team! The team’s breakfast included delicious pancakes made from scratch, scrambled eggs, bacon, potatoes, sausage, fresh fruits and fresh orange juice! Later that afternoon our team enjoyed ice cream as well. We are so happy to have such a hard working staff in Somerville :). Go Team!!! We are so happy to announce that our hygienist Kim had her second baby Lukas! Lukas is an 8.5lbs happy and healthy baby! Congrats Kim! We want to wish Happy Birthday to Emily and Dr. Thaker! Their Birthdays was in August and we had a good time celebrating with them. In August we also welcomed Dan and Tamires to our Business Team! Their training process has gone so well and we are very happy to have them in our team! Keep it up GUYS! Karina Oliveira also joined our Dental Hygiene team. Karina will be working on Thursday, Fridays and Saturdays. She is very pleasant and has received a lot of compliments from her patients, Go Karina! Get more exciting news at our facebook page. Hello! We have some great news! July has been an outstanding month so far for our Somerville office. We are so happy to say that our Smiles for Life fundraiser was a big success. For the first year participating, Great Hill Dental Partner’s donations were among the top 2 in the nation! Congratulations to all of our other locations for the outstanding results. Our Somerville office raised $8,147.00. We are so happy this will serve to help kids in other parts of the world and in our own community. 50% of this donation will go to the Somerville Homeless Coalition and we are so happy to support this great local charity. To encourage 100 patients to donate, Dr. Brangan agreed to dress as the tooth fairy and give Dr. Michalowski a pie in the face. We’ve had over 150 patients donate, so this HAPPENED! Dr. Brangan dressed as the tooth fairy and Dr. Michalowski received a pie in the face. However, to make this even more “grand” our CFO Roger agreed to join the “pie in the face” movement, if we were among the top 3 in the country in donations. I’ve included some pictures of the before the pie in the face, and will soon release a post with the actual video! Thank you to all of our patients who made this possible by donating. We have some great news at our Somerville office. In the past months, we have added two outstanding new hygienists to our office. Liz and Hannah are both graduates from the prestigious Forsyth School of Dental Hygiene/MCPHS University. Liz was also nominated as Employee of the month for April! Everyone, including our patients have great things to say about her. We also have some great highlights from our Smiles for Life Event last Thursday 06/09 and Monday 06/13. We’ve had 15 patients come in to donate and get their whitening kits! This was an outstanding response and we have to thank our team, especially our dental assistants for working extra hard to make this happen! Until the end of June we are still taking donations and providing teeth whitening kits! Hope everyone has a wonderful Spring/Summer! We are so grateful for the generous donations coming in for our Smile for Life Campaign! So far we’ve had a total of $3,730.00 donated and increasing! We also met our goal of 80 donations and Dr. Michalowski, Bianca, Liz and Rosa will received a pie in the face! We will have the video and pictures posted soon! We have to thank our team & patients for supporting this great cause! In order to finish this well, we will be holding a Teeth Whitening Day Event! If you or someone you know needs a smile makeover call 617-764-3440 or e-mail somervilleinfo@greathilldental.com! The special event will take place June 9th and June 13th! In April our pediatric dentist Dr. Thaker had her second baby. We would like to congratulate her and her husband on this new addition to the family! He is so cute and we are so happy he is a healthy and happy baby! Dr. Thaker will return to the office to see her patients in July 2016. We also want to congratulate Flora Konomi for winning Employee of the month in March! She was away to see her family in Germany, so we had to tell her in April! Good job Flora! In April, Ina Mehmeti our schedule coordinator a familiar face for most patients, will also be leaving us during the weekdays. Ina works in payroll and got a new job offer in her area of expertise. Ina is a very sweet person and all of us are going to miss seeing her every day! Ina will still work for us on Saturdays. Here is a shot of our team on Ina’s last weekday! Today, Great Hill Dental Partners Somerville was an exhibitor at Somerville High School’s Career Fair. We were invited by Business Teacher Michele Harney. According to her, the goal for the fair is to provide our students with the very best career, training, and educational opportunities in our area as they formulate their post-secondary plans. Last year, Somerville High School’s Career Fair had over 50 local exhibitors represented and over 300 juniors/seniors in attendance. This year they had 77 exhibitors, it was a fun and engaging event. Our special thanks to Rosa Carrasquillo and Dr. John Brangan for their support! The Somerville High School has a very well-respected dental assisting program. Rosa Carrasquillo, who is herself a teacher at a similar dental assisting program in Danvers, had the opportunity to see the classes and met the teachers. She was able to share information with the students about careers in the dental field and educational requirements. Dr. Brangan had an opportunity to speak with the school’s principal and teachers about internships opportunities at Great Hill Dental Partners. Each faculty member received a special offer from us, as a thank you for all their great work in the community. We were honored to be part of this great project and already confirmed our presence next year! According to The American Academy of Cosmetic Dentistry (AACD), cosmetic dentistry is dentistry aimed at creating a positive change to your teeth and to your smile. 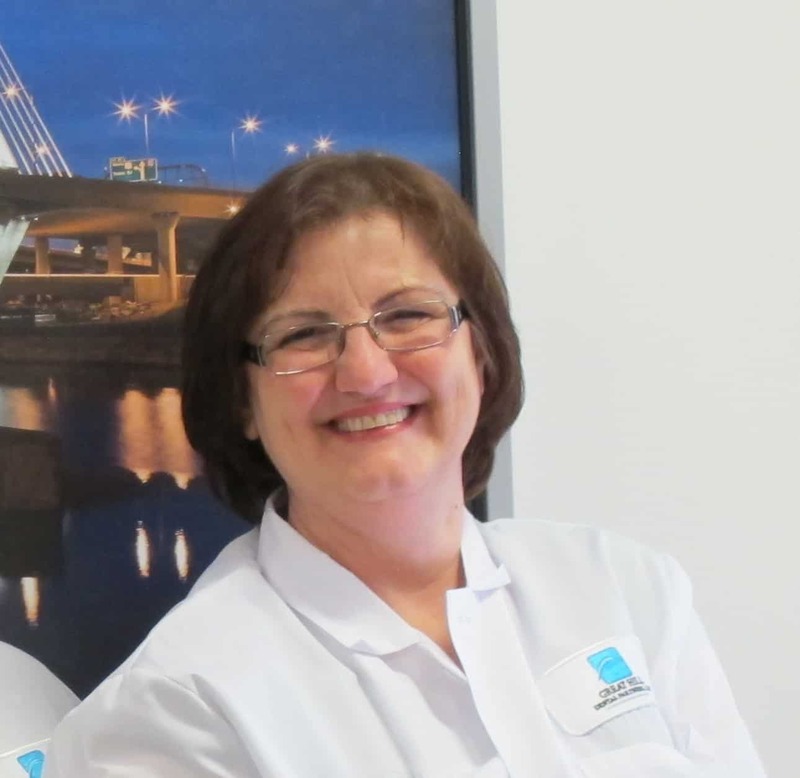 At our office we offer patients the ability to enhance their smiles and we believe that cosmetic dentistry must complement the overall general and oral health of each patient. This is the before and after of our patient Meghan O., she just finished her cosmetic dental treatment with Dr. Michalowski. Needless to say, Meghan was extremely happy with her new smile. This is also a great time to remind patients of the important role endodontists play in dental health, and how much root canals have evolved over the years. Root canals are a great painless option for treating problems with the tissue inside the tooth. According to the AAE :”When this tissue or the tissue surrounding the tooth root is diseased or damaged due to decay or trauma, endodontic treatment typically can save the tooth”. In Somerville, our Endodontist Dr. Aliyah Shivji performs root canals 2 days a week: Mondays and Thursdays. If you experience any of these symptoms give us a call to schedule a consultation with Dr. Shivji. Click Here to know more about Root Canals and Importance of an Endodontist. hundreds of dental practices professionally whiten teeth to raise money for seriously ill, disabled, and underprivileged kids. They’re Crown Council members—an alliance of leading-edge dental teams committed to charitable work. When you have your smile whitened, 100% of the proceeds go to the Smiles For Life Foundation. (source:http://www.smilesforlife.org/) Smiles for Life will give 50% of the proceeds to the Somerville Homeless Coalition and 50% to charities that benefit children all over the world. We are very excited about this awesome opportunity to give back to children in our beloved Somerville and all over the world. Our patients, like the Joshua on the picture, are so happy to participate! In 2 days we have raised over $700! For a donation of $50.00 or more, you will get a customized whitening tray system a $213.00 value! Get a beautiful smile for the summer and help a child! Now that’s a GREAT idea! Our Dental assistants are a crucial part of the dental office year-round, but they get a special week devoted to them each year for all the great work they do. Dental Assistants Recognition Week is scheduled for March 2-8 and dentists in the United States and Canada will celebrate by honoring their dental assistants for the variety of duties they perform and helping them provide patients with quality dental care. This year’s theme, “Dental Assisting: Embracing the Changes of the Profession,” acknowledges the growing importance of dentistry’s role in health care and the responsibilities of dental assistants. (Source: ada.org). To lead our team of dental assistants we have Rosa Carrasquillo. Rosa is just a very nurturing leader and person. Rosa works at a local dental assisting school, teaching and training students on how to become a dental assistant. Out of her graduating classes, we got the pleasure of hiring many of our current dental team members and assistants. Valeria Beltre: She is quiet, precise and efficient. When she is not in the office and has her make-up and hair do on, you won’t recognize her because she will turn into a “Spanish Soap Opera Actress”. She is Dr. Brangan’s main assistant! We can always count on Valeria to be here and get the job done! She was also one of Rosa’s students. Eyrusalem Berhe: Eyrusalem is a sweet person and she works with Dr. Bahadoran, who says she is an outstanding Ortho assistant! Bianca likes to call her “Jerusalem”. Virginia Chevalier: Virginia was one of the best students Rosa had in one of her classes. She is always smiling and helps Dr. Epstein Fridays. Gina Ciampa: Gina is just the cutest person you will ever meet! She is always laughing and having a great time with our patients. She is one of Rosa’s students and has learned how to assist most of our specialists! We are so happy to have Gina on our team! Selene Erazo: Professionalism and kindness are two words that describe Selene really well. She is a very experienced assistant that used to work with some of our doctors, when we were still at Harvard Vanguard. She assists our Periodontist Dr. Goodman and Endodontist Dr. Shivji. Fanice Jean-Baptiste: Fanice helps Dr. Wilkes our oral surgeon on Wednesdays morning. In the afternoon she has a great time interacting with our little patients as she helps Dr Thaker, our pediatric dentist. Fanice is extremely knowledgeable and can assist any specialty and dentist. Flora Konomi: Flora used to be a teacher in Albania and is a graduate from one of Rosa’s classes. She has learned so much since she started, and continues to grow. Flora is a very pleasant person and we are grateful she joined our team. Bianca Loci: Our lunch breaks every Wednesday and Friday are taken to another level by Bianca’s homemade humus and sense of humor. When she is not working with Dr. Bahadoran in our ortho department, Bianca is walking around the office making patients and team members laugh. We look forward to the days she is here, always helpful and always happy. Emily Lopez-Esquivel: Emily spends most of her time in the front desk, but is a registered dental assistant that is always happy to help when needed. To all of you: We want to take this time to celebrate each one of you and thank you for being outstanding people and co-workers! You are an essential part of our office, and we couldn’t do it without all of you! Make sure you check out our Facebook page where we will be featuring their photos during the month of March. Tax season is here, it is a great time to look over our expenses and review our previous year. One thing to consider this new year is making sure you use your dental benefits wisely. A lot of us are uninformed about how our dental plans actually work. That is why we made this blog posting to help you understand how most Dental Insurances work. * Dental insurances are NOT like medical insurances. * That means you may have to pay a portion to get your dental treatment done. So how do dental plans work? – Most dental plans have an amount to be used yearly for many different dental procedures. – Frequently, this amount varies between $750-$2500. – Some dental plans will also have a yearly deductible. They can vary between $25-$300. – Dental plans rarely pay for all dental procedures 100%. – There is a contract between you and your dental plan. We don’t have access to this full contract. Therefore, you should know and understand what your dental benefits are and how much it may cost you to have dental treatments done. Maybe you’ve never read this contract, therefore you may be uninformed about all of this. That is why our business team takes their time doing a basic research of your dental benefits. Their goal is to print an estimate of what your costs may be and help you maximize your benefits. Their estimation is based on your dental plan’s basic coverage description, normally available online or by fax. This helps our patients know their estimated portion before having the treatment done. Our estimates are correct most of the time. They aren’t always perfect because when we contact your dental plan, your lovely dental insurance representatives are always kind enough to inform us that NOTHING is 100% guaranteed until claims are received and processed. This is why we recommend you call them if you have any questions about your financial consultations with us. We will be happy to provide you with a breakdown of the costs to help you speak with your dental insurance company. If you don’t have a dental appointment scheduled or you are a new patient, call us at 617-764-3440 to schedule a visit or e-mail somervilleinfo@greathilldental.com. Don’t wait till the end of the year, schedule a visit as early in the year as possible. Some dental plans renew in July, so you could be losing benefits if you wait too long. Welcome to our Great Hill Dental Somerville Office Blog! What a way to kick off February with the addition of baby Mason to the family of Kim Le one of our wonderful Hygienists. Congrats! We are so happy for you and your family. Congrats to Al Morel for becoming the first Employee of the Month in 2014! Al is our Treatment Plan and Billing Coordinator. He has done an outstanding job in helping patients through their coordination of care. Thanks Al for all you do to helping make our patients feel at ease and ready to achieve greatness in their oral health. Happy Birthday shout outs to those who recently had a birthday in January: Priscila Dal Seco and Fernanda Nogueira . Just around the corner in March we will celebrate birthdays for Flor Piedrasanta , Inessa Evdokimov and Malet Assefa. Looks like a month full cake , just around the corner. And finally we would like to Welcome back Dr. Thaker! Congrats on having your baby boy. We couldn’t be happier for you.